Afeni Shakur was born as Alice Faye Williams on January 10, 1947, in Lumberton, North Carolina, the daughter of Rosa Belle, and Walter Williams Jr. In 1968, at the age of twenty-one, she changed her name to Afeni Shakur, Afeni is a Yoruba word for "lover of people" and Shakur is Arabic for "thankful". She lived in Harlem, New York and she joined the Black Panther Party. She became a section leader of the Harlem chapter and a mentor to new members, including Jamal Joseph, Cleo Silvers and Dhoruba Bin-Wahad. She also worked with Billy Garland (Tupac's biological father) and Geronimo Pratt (who became Tupac's baptismal sponsor). In April 1968, Afeni Shakur was arrested on charges of conspiring with other Black Panther members to carry out bombings in New York. With bail set at $100,000 each for the 21 suspects, the Black Panthers decided to raise bail money first for Joseph and Shakur so that those two could work on raising bail for the others. Shakur had been effective in raising bail funds for jailed Panthers. Shakur chose to represent herself in court, Pregnant while on trial and facing a 300-year prison sentence, Shakur interviewed witnesses and argued in court. She and the others in the "Panther 21" were acquitted in May 1971 after an eight-month trial. Her son, Lesane Parish Crooks, was born on June 16, 1971. The following year, in 1972, Lesane Parish was renamed Tupac Amaru Shakur. 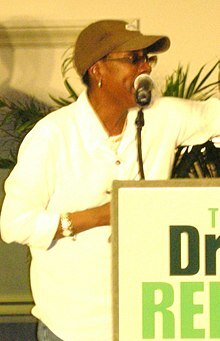 Exactly one year following her son's death, with revenue from his albums released posthumously, Afeni Shakur founded the Georgia-based Tupac Amaru Shakur Foundation, which provides art programs for young people, and Amaru Entertainment, the holding company for all Tupac's unreleased material. She also launched a fashion clothing line, Makaveli Branded. Afeni Shakur was reportedly in federal court on July 20, 2007, to file an injunction to prevent Death Row Records from selling any unreleased material from Tupac after the company failed to prove that the unreleased songs were not part of its bankruptcy settlement. Shakur traveled across the U.S., making guest appearances and delivering lectures. On February 6, 2009, she gave the keynote address for Vanderbilt University's Commemoration for Black History Month. On May 2, 2016, police and paramedics responded to Shakur's home in Sausalito, California. She was transported to a nearby hospital, where she was pronounced dead of a suspected heart attack. Her body was cremated. ^ Guy, Jasmine (2004). Afeni Shakur: Evolution of a Revolutionary. New York: Atria Books. p. 5. ^ a b c Kaufman, Gil (May 3, 2016). "Tupac's Mother, Afeni Shakur, Dead at 69". Billboard. Retrieved February 22, 2017. ^ "Shakur, Afeni - Dictionary definition of Shakur, Afeni - Encyclopedia.com: FREE online dictionary". www.Encyclopedia.com. Retrieved July 1, 2017. ^ Thompson, Desire (May 5, 2016). "The Black Panther Party Releases Statement On Afeni Shakur's Passing". Vibe. Retrieved February 22, 2017. ^ a b c d Hall, Mia (May 2, 2016). "Afeni Shakur, Tupac's Mom, Legacy Remembered by Fellow Panthers". NBC News. Retrieved February 22, 2017. ^ Akindele, Toni (May 6, 2016). "The Black Panther Party Releases Statement on Afeni Shakur's Passing". Essence. Retrieved February 22, 2017. ^ a b c d Kreps, Daniel (May 3, 2016). "Afeni Shakur, Activist and Tupac Shakur's Mother, Dead at 69". Rolling Stone. Retrieved February 22, 2017. ^ Afeni Shakur, mother of rapper Tupac, dies at 69, RichmondFreePress.com; accessed May 15, 2016. ^ Moscow-Pullman Daily News (July 26, 2007) "Tupac's mother tries to stop Death Row sale of unreleased tracks"; retrieved May 17, 2010. ^ "Lecture: Afeni Shakur delivers keynote address of Vanderbilt University's Black History Month Commemoration". Discoverer Archive. Jean and Alexander Heard Library. Retrieved May 4, 2016. ^ Kimble, Lindsay (May 3, 2016). "Tupac Shakur's Mother Afeni Shakur Davis Dies at 69: Police". People Magazine. Retrieved May 3, 2016. ^ Dillion, Nancy; Niemietz, Brian; Wagner, Meg (May 4, 2016). "Afeni Shakur, mother of hip-hop legend Tupac, dead at 69". New York Daily News. Retrieved May 4, 2016. ^ "Private memorial for Tupac's mom Afeni Shakur to be held in N.C." Retrieved February 23, 2017.